Have you ever been in the drive-thru at Tim Horton’s for a coffee and when you get to the window to pay, the cashier informs you that the person in the car before paid for your coffee? Flash back to that feeling of “ahhhh, wow, how nice was that! ?” and you just want to give a great big Thank You. A deep heartfelt feeling of gratitude literally floods over your body and directly through your heart. And for a good reason. The heart is our emotional centre where emotions like gratitude and sadness reside and have the most profound effect. Where do you think the expressions “heartfelt” and “a heavy heart” come from? There is a physiological response from the heart that impacts our internal equilibrium from a chemical perspective that show up as hormones, and on an energetic level which impact the vibrational level of our physical, mental, emotional and spirit energy. Last week, the Greater Good Science Centre (GGSC) at Berkeley University sent out a communication to share a white paper they wrote “The Science of Gratitude” (May, 2018). 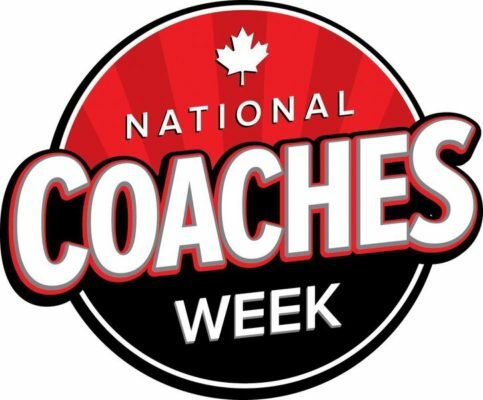 Very timely since this week (Sept 22 – 30th) the Coaching Association of Canada launched National Coaches Week! A time to celebrate the positive impact that coaches have on athletes and communities across Canada. An opportunity to recognize coaches for the integral role they play by saying #ThanksCoach! Most of us have a general idea of what gratitude is, but it is hard to put it into words (at times there are no words for the language of the soul). Is it an emotion? A virtue? A behaviour? Or perhaps all three? Like anything in life, there may not be a clean-cut answer, but in the last 20 years there has been a significant amount in understanding what gratitude is and the effects on humans. recognizing that there is an external source for this positive outcome. With a further categorization of types of gratitude such as a trait (some people have a disposition of being grateful), a mood (daily fluctuations in overall gratitude) and an emotion (a more temporary feeling of gratitude that one may feel after receiving a gift or favour). Kind of like the feeling I had when I had my coffee paid for by a random stranger. And with National Coach Week, a #ThanksCoach! can go a long way when it is laced with true gratitude. The long hours, dedication and hard work that sport coaches put into a season, the athletes and the parents can often be over looked. Not because we are not grateful or thankful for all that is done, but because our “gratitude muscle” may have atrophied. So it is time to strengthen our “gratitude muscle”. Be consciously grateful (truly grateful) for something every day. Deep down we are grateful, but don’t always bring it to the fore front of our minds. It doesn’t have to been complicated, perhaps something as simple as being grateful you didn’t hit that squirrel on the way to practice. You can take it a step further by doing a Gratitude Journal. Each day write down 5 or even 10 things that you are grateful for. Do this for 21 days and you will sleep better and wake up more refreshed! There is serious science behind the act of journaling (yes, pen to paper). Practice the feeling of gratitude. Take a few moments to recall an experience (like an introduction that led you to that new job, a kind word that you received just at the right moment, or an unexpected gift, like having your coffee paid for in the drive-thru). Research at the HeartMath® Institute has shown that re-experiencing a feeling of gratitude or appreciation along with a heart focused breath changes your heart rate variability which decreases the cortisol levels (stress hormone) in our systems and increases a hormone DHEA, which is a hormone that supports cell rejuvenation. Using their breathing techniques which include the feeling of appreciation and gratitude has been shown to decrease stress and anxiety in people suffering from post traumatic stress disorder, so you know it is an effective technique! So in the spirit of #ThanksCoach! think about what you are grateful for (as a coach, or for what your athlete’s coach has done for your and/or your athlete), and say #ThanksCoach! You are making someone’s day and building your own gratitude muscle at the same time! Melanie Wanless, President and Founder of What Not To Yell, and grateful for the journey so far! And yes, I most definitely expressed my gratitude in my meeting and it felt great flexing my gratitude muscle! Yelling at Players is the Adult version of a temper tantrum! Its OK to be Frustrated…just don’t get attached.